Alive and Well Women: Our First Grant! This week we were notified that our first grant proposal was approved! It was an exciting and encouraging day for Alive and Well Women (and me!). I called my friend and co-founder, Cissy, to squeal and celebrate together in joy on the phone. Another big step for us! I was particularly thrilled that the grant was from The Sister Fund, a private foundation whose mission is to fund women’s social, economic, political and spiritual empowerment. 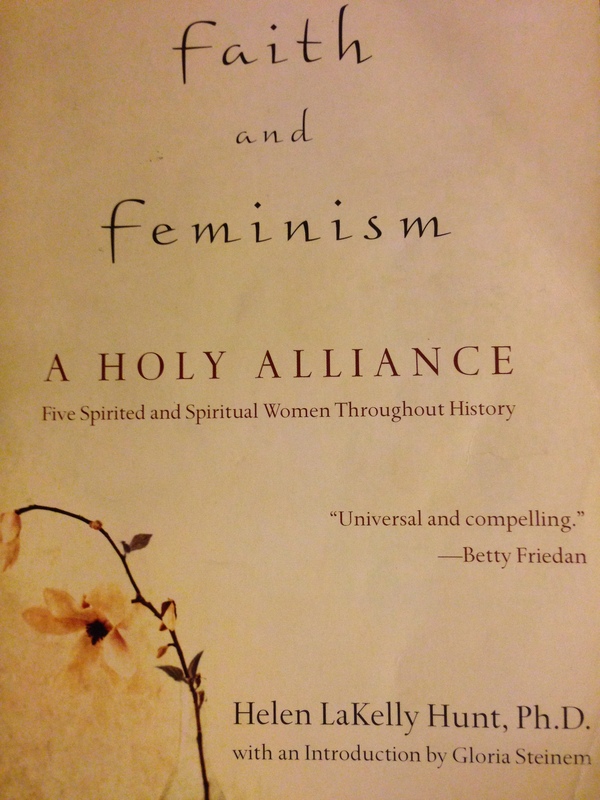 The founder of The Sister Fund is Helen LaKelly Hunt, Ph.D., who authored Faith and Feminism: A Holy Alliance, a book I recently read and which inspired me greatly. Faith and Feminism explores the roots of the early feminist movement, led by abolitionist feminists of the nineteenth century, whose activism was fueled by their deep faith in God. The book profiles five women, from different centuries and different cultures, but whose “religious and spiritual lives were indivisible from their public achievements.” Through these women’s stories, Helen explores five stages of the “journey to wholeness” – pain, shadow, voice, action, and community. This is a useful framework to consider not only our individual journeys, but also for feminism as a social movement. In my own life, I am two years into early retirement after a 25-year corporate career as a lawyer and partner with a national employee benefits consulting firm. I was involved in the leadership of our firm’s Women’s Network, which was designed to help women steer through the pitfalls of a very traditional male-dominated work culture. I am also a Christian, and in recent years have been involved in the leadership of our local church. Since I retired, I co-founded and was elected Chair of the Board of Alive and Well Women. Our mission is to help women navigate toxic cultural messages about health, beauty and sexuality so they can thrive amongst the multiple stages of the female life cycle. We support women’s wholeness and empowerment through workshops, classes and programs. Faith and Feminism gave words to my dual experience of feeling awkward sharing my religious self with many female friends from my corporate working career, while also feeling reticent around church friends due to (what I assumed to be) my too-liberal views on certain social issues. I often felt straddled between two worlds. Then there is the issue of learning when and where to give voice to my beliefs and opinions – at work, at church, and even with my family (such as my husband who often has different political and social perspectives than I). Too often, as women, we are taught to be polite, to compromise, to keep the peace, to work toward consensus, frequently to our own detriment or contrary to our true selves. When faced with the inevitable big, loud people who oppose or even threaten our beliefs, when is it appropriate to stay silent, to go quietly around, or to confront? In the spirit of civility and servanthood, I too often keep my mouth shut and am not completely genuine with others. 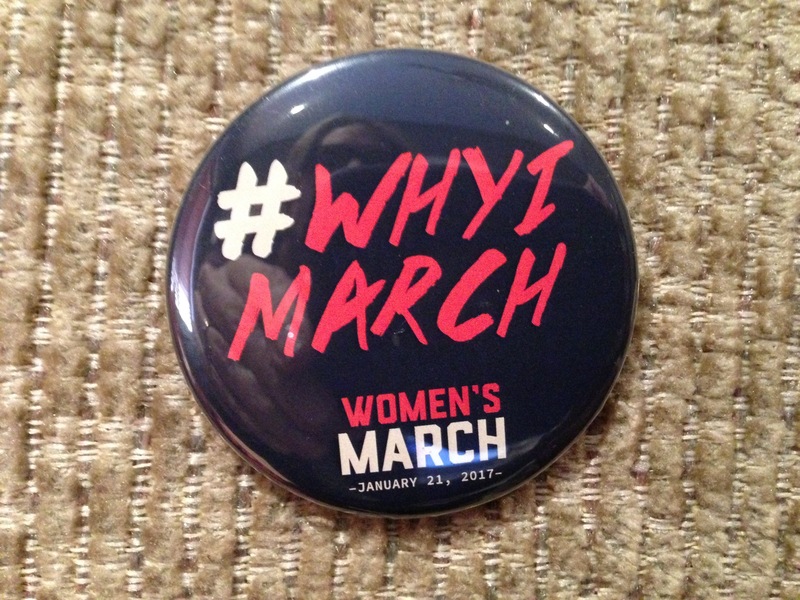 In Faith and Feminism, I was above all inspired by the stories of Sojourner Truth and Lucretia Mott, who found their voices, and took action based on their core beliefs. The book further opened my heart and mind to women’s empowerment, in general, and finding our true voices, in particular, as part of the journey toward wholeness. I look forward to unpacking these topics in more depth through this blog and to potentially incorporating those themes into our Alive and Well programs. 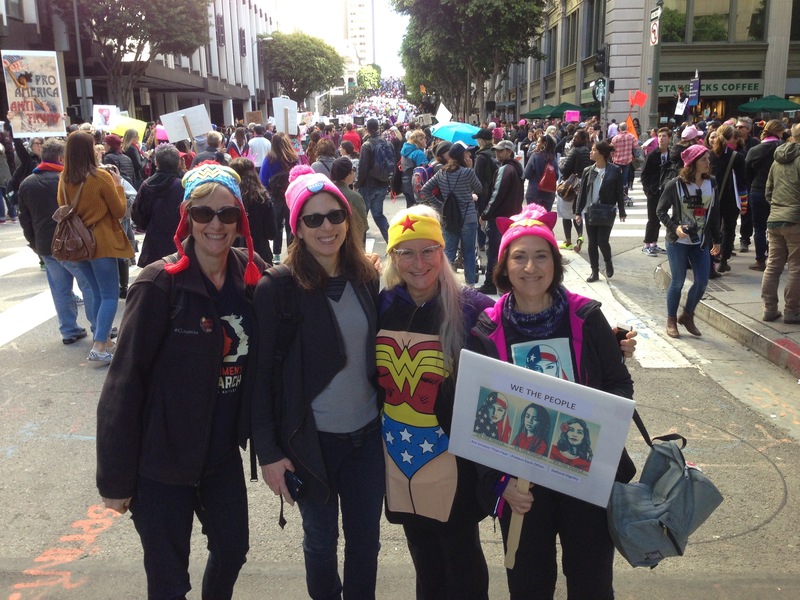 I do feel a passion for helping myself and other women explore ways to heal the rift between faith and feminism and to find our voices and take action. I am excited for the journey!